Our sister, Theresa (a/k/a OGG Munny B) has two amazing kids, both in college. 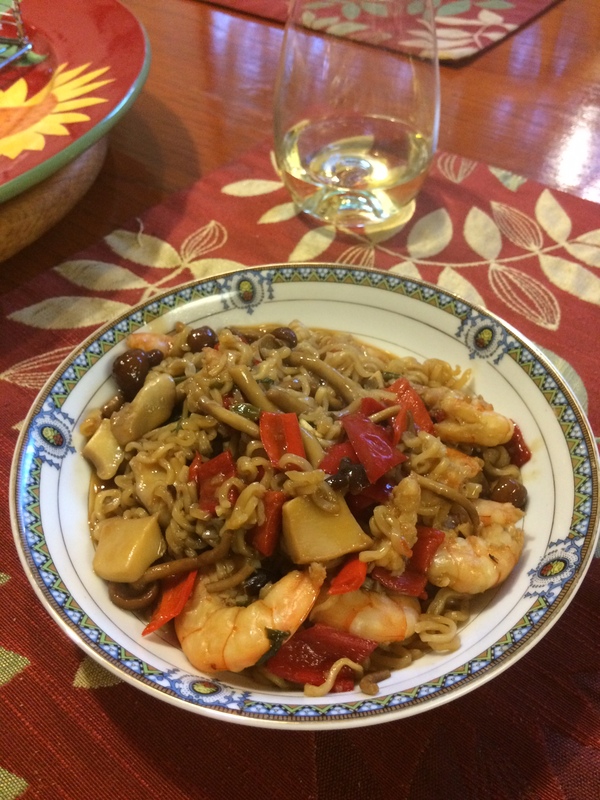 This dish is a special shout out to the kids and a nod to our own days in college when Ramen was, well, just Ramen….Enjoy…. My new ‘creasian’ of the week. All ingredients are organic and low sodium. The only cheat is the addition of the ramen noodles at the end. This is a quick meal (30 minutes or less, including prep time) and uses one pan. 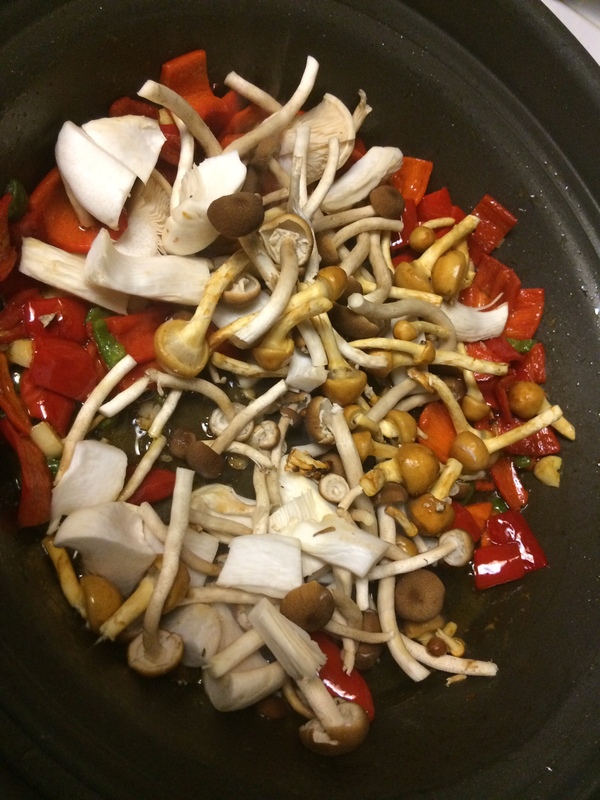 Sautéed the garlic for one minute in the oils, add red and jalapeño peppers and sauté until soft. 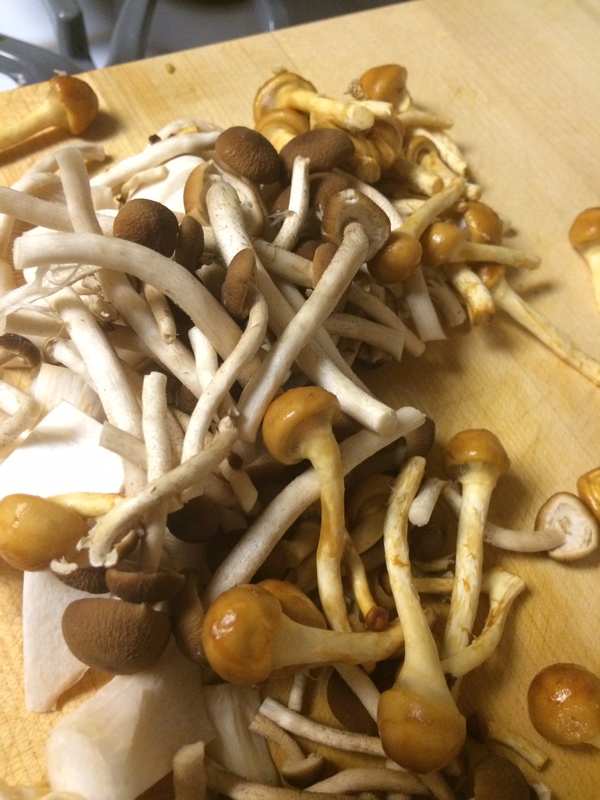 Add the mushrooms, sauté another 3-4 minutes. 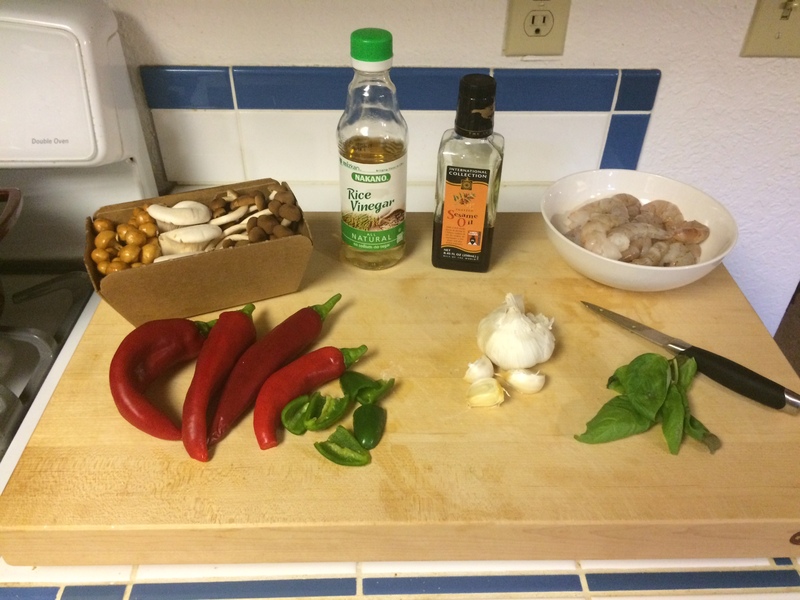 Add the basil, vinegar and shrimp and sauté another minute, then add the broth and finally the crushed ramen noodles. 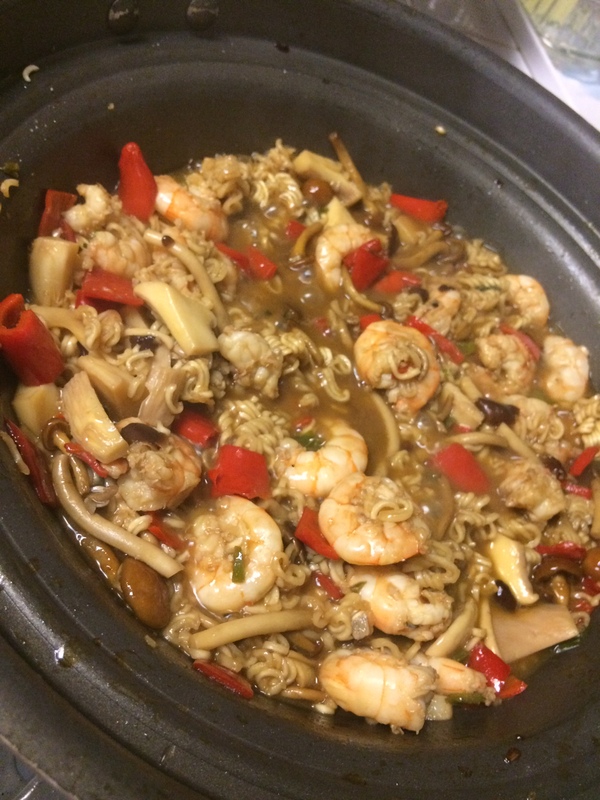 Cover with a tight fitting lid and cook on medium heat a few more minutes, until shrimp is pink and noodles are al dente. Remove from heat and uncover after another minute. 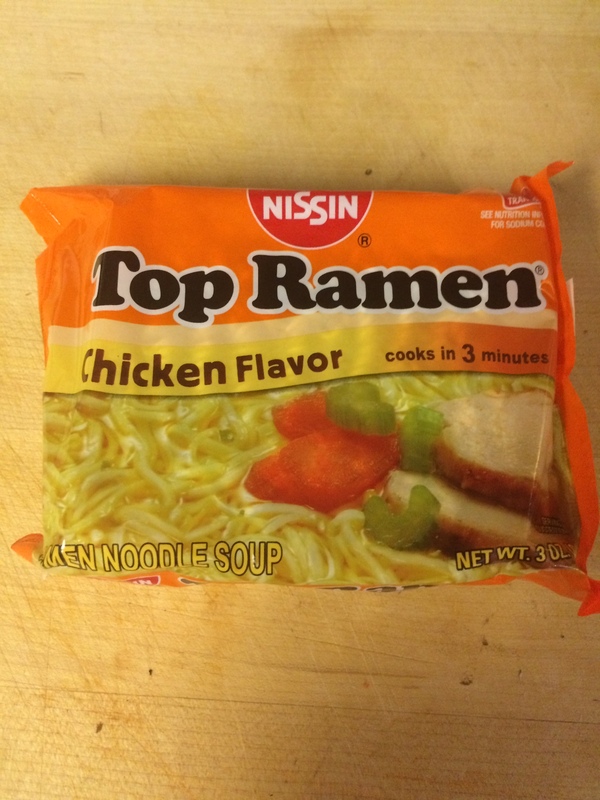 Tags: college kids recipe, easy ramen recipe, food, ramen, ramen with shrimp, ramen without packet, top ramen, with images. Bookmark the permalink.